Presents an accurate status account for each species of bird recorded in Kuwait. 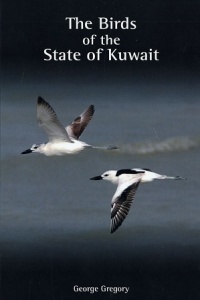 Kuwait occupies the south-eastern corner of the Western Palearctic Avifaunal Region, and it is one of the few remaining countries in this region that until now did not have a readily available book containing an up-to-date bird list. Each species account includes the status, recordings of observations and a table with daily counts. Also included is a list of 37 birdwatching sites and a chapter on the history of ornithology in the country. Paperback - 219 Pages.